Kaixo! Learn Basque Online in the comfort of your home, office, or school with our Experienced Tutors through Skype to increase your chances of finding love, friendship or job or to immerse yourself in the Basque lifestyle and culture! Basque is a language spoken by nearly 720,000 people in the Basque Country, located in the Northern side of Spain. It is also spoken in the French Basque Country located in the south west of France. Even though Basque region is geographically surrounded by Romance speaking countries, it is not related to any of the languages and has the credit of being one of the only language isolates of Europe. In fact Basque has no linguistic relatives. Because of its isolation it has been a subject of interest of many linguists. Basque is written in the Roman alphabet and pronunciation is fairly easy. 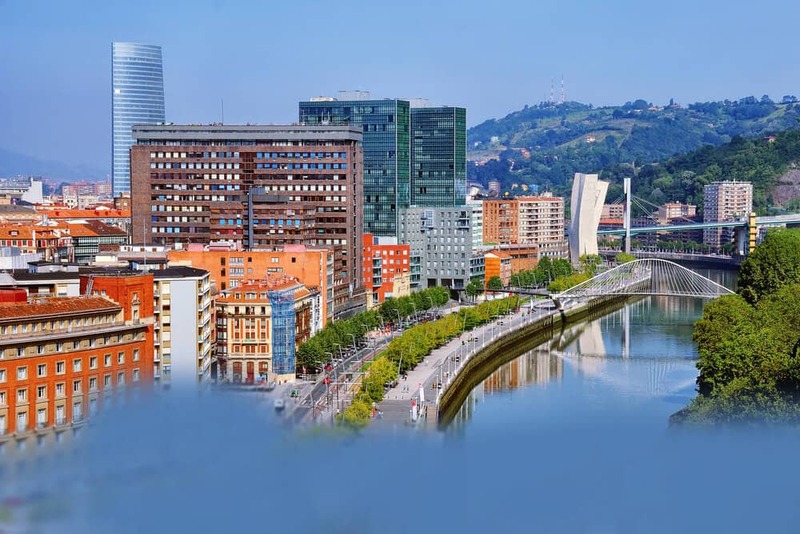 You might not feel the need to learn Basque for your trip, if you are already proficient in Spanish because most of the Basque speakers can speak Spanish fluently. Nevertheless, attempts to do so will generally be met with warm smiles and encouragement from the locals. If you plant to stay in the Basque country for longer period of time, to be able to express yourself and develop deeper relations you need to learn the local language. Looking to impress your Basque beau or your boss? Planning to travel to Basque country or want to explore Basque literature? Here is a place to learn Basque Online through Skype with our Experienced Native Tutors wherever and whenever you want. So if you love challenges and are curious about this fascinating language then you must learn Basque. You could find it interesting to learn as a personal challenge. For the non-language buffs, you may want to learn Basque because you think it sounds cool, or you might want to visit Basque county or watch movies and listen to music in Basque, or learn it just for fun. So if you have decided to learn Basque, there are several options to learn the language. But the most efficient and cost effective way to learn any language is the online platform. Our online language learning platform through Skype gives the leaners the ultimate leaning experience. Our site offers a well-rounded approach to language learning, with focus on listening and speaking skills. Through our online platform you can connect with native Basque speakers and practice the language wherever you are and whenever you want! We believe that the best way to learn Basque is by live conversation with a native speaker and this is exactly what our native tutors will focus while teaching you learn Basque. All our native tutors are experienced and dedicated professionals who can provide you the best coaching at a very cost effective price. By joining our Online Basque Learning course through Skype you can enjoy tailor made lessons and build fluency and confidence through interactive online classes that are effective and fun. You can now take Basque classes one-to-one using Skype with a tutor of your choice. Our Basque lessons are custom, effective, comfortable, and fun. Pick a tutor NOW! Choose anything specific. Whether it is conversational Basque classes, business Basque lessons or just learning how to greet and impress a loved one. We can help you with them all.